Guy Consolmagno is director of the Vatican Observatory, appointed in this post in September, 2015 by Pope Francis. Previously he was curator of meteorites. 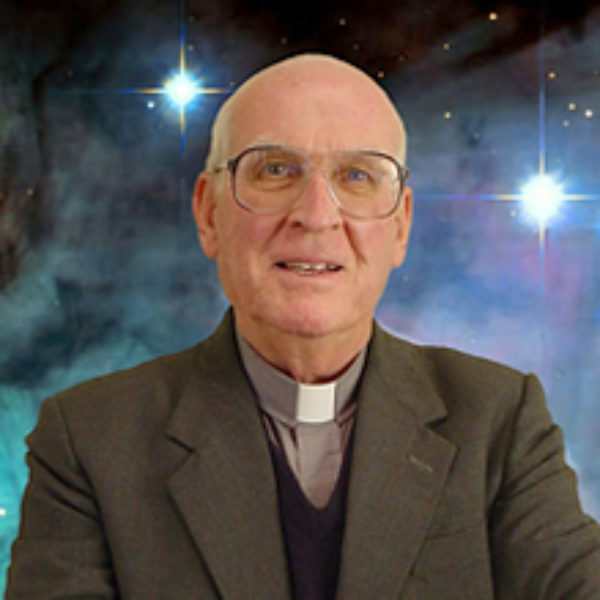 His books include Brother Astronomer: Adventures of a Vatican Scientist and Would You Baptize an Extraterrestrial? : and Other Questions from the Astronomers' In-box at the Vatican Observatory. George Coyne is the former director of the Vatican Observatory. His books include Wayfarers in the Cosmos: The Human Quest for Meaning. KRISTA TIPPETT, HOST: There are more than thirty objects on the moon named after Jesuits. Jesuits mapped the moon. A Jesuit was one of the founders of modern astrophysics. And four Jesuits in history, including Ignatius of Loyola, have had asteroids named after them. Vatican astronomers Brother Guy Consolmagno and Father George Coyne are the two living men with this distinction. I’d like to hear from both of you about how your take on life, which is very much informed by your science, resonates with Catholic theology and tradition in particular. FATHER GEORGE COYNE: I think it’s exciting to be ignorant and I think our ignorance in pursuing science has something to do with this whole idea of the uncertainties involved in a relationship of love with God that I call faith. I’ll give you a story. I gave a paper at a scientific meeting on the uncertainties in our determination of the age of the universe. There are several methods we use for determining the age of the universe and there is a degree of uncertainty involved with each of them. Well, whenever I’m at a scientific conference, I’m usually not dressed as a priest because why? It just confuses things. So I had just given a talk in a church or something, so I gave this talk and I was wearing my Roman collar. A gentleman stood up in the discussion period, and the first thing he said was, “Father.” And I trembled at the thought that he had, first of all, called me “Father,” but then he proceeded to build upon that. He said, “Father, it must be wonderful that, with all the uncertainties we have in our scientific pursuits, that you have this faith, this rock of faith to stand upon.” I took off my Roman collar and faced him down and said, “Who told you that my faith was kind of a rock?” I said, “Every morning I wake up I have my doubts. I have my uncertainties. I have to struggle to help my faith grow.” Because faith is love. Love in marriage, love with friends, love of brothers and sisters is not something that’s there once and for all and always kind of a rock that gives us support. What I want to say is, ignorance in doing science creates the excitement of doing science, and anyone who does it knows that discoveries lead to a further ignorance. 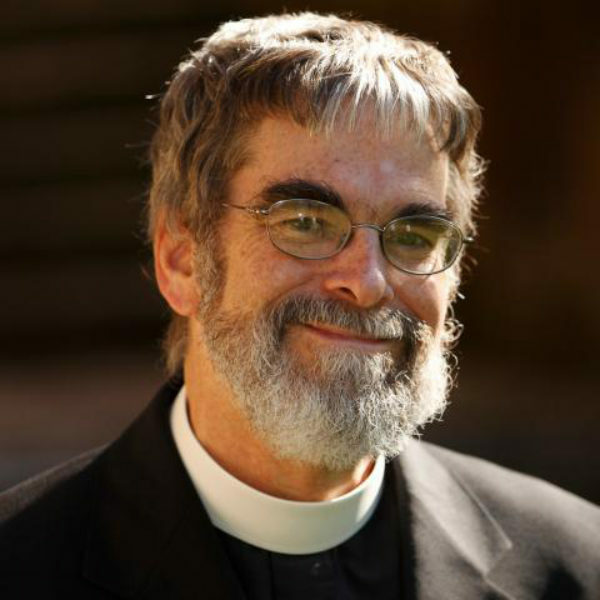 BROTHER GUY CONSOLMAGNO: The more you know, the more you know you don’t know. MS. TIPPETT: And you feel that’s true with faith as well? BR. GUY: Oh, exactly. I keep going back to this wonderful phrase that Anne Lamott came out with a few years ago: “The opposite of faith is not doubt. The opposite of faith is certainty.” If you’re sure about something then you don’t need faith. It’s when you have the doubts that faith kicks in. And that’s true in science as well as anything else. BR. GUY: Oh, very good. Yes. But what George is saying about the joy of ignorance, this is, of course, an old tradition that goes back . . . well, Socrates himself says, “I’m wiser than everyone else because I know I don’t know.” And Nicholas of Cusa, who wrote about extraterrestrial beings in the 14th century, did so in The Book of Ignorance—that’s one way of translating the title. FR. COYNE: We have examples of it in science down through history. But to take just the past two decades, we knew the universe was expanding. We marveled at the fact that it was expanding at just such a rate that it was on the borderline of expanding forever or collapsing. Right on the borderline. Now, that itself is a marvel. Of all the possibilities—expanding so fast at the beginning that nothing could come to be, there could be no self-gravities so that galaxies and stars formed; or expanding so slowly that it collapsed in upon itself almost as soon as it began to expand—of all those possibilities, it was right on the edge. So we were delighted with that and marveled at that until within the past 15 years, with very accurate observations of distant quasars, we know now very well that the universe is not only expanding, but it’s accelerating in its expansion. I mean, it challenges gravity, which is very fundamental to all of our understanding, and always has been, since Newton. MS. TIPPETT: But I think you’re saying that ignorance in this sense is something to take delight in. BR. GUY: The awareness that we don’t know. You know, if we had all the answers, boy, we’d have nothing left to do. It’d be a terrible universe. When I was a little kid, nine years old, I remember a rainy Sunday afternoon when I couldn’t go out to play and was stuck in the house. And my mom came out with a deck of cards and dealt them out and we played rummy together. Now, my mom can beat me in cards because I’m nine years old. That wasn’t the point of the game. The point of the game was that this was her way of telling me she loved me, in a way that she couldn’t by just saying “Son, I love you,” because I was nine years old. In a way, being able to do science and come to an intimate knowledge of creation is God’s way of playing with us, loving us. So, is it invented? It’s as invented as the card game. Is it an act of love? It’s as much an act of love as the card game. FR. COYNE: I like that. Playing games with God. Or God playing games with us. That’s true. Made a universe that has a fascinating attraction about it. Doing science to me is a search for God. And I’ll never have the final answers, because the universe participates in the mystery of God. If we knew it all, I’d sit under a palm tree with my gin and tonic and just let the world go by. BR. GUY: Which is not a bad thing to do every now and then. FR. COYNE: Well, every now and then, but it’d get kind of boring.